Need custom posters? Jen Clark design offers ground-breaking poster design, that will give your small business the edge it needs. Poster design is an ancient and much-loved art. The right poster is one of the most impactful forms of marketing. They seem fresh, powerful and even Guerrilla. 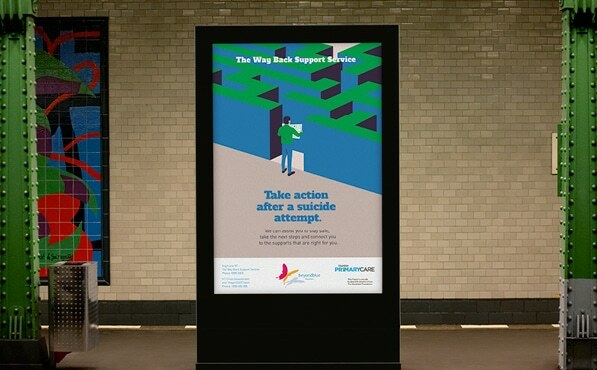 You can’t help but take notice of them, and you only need one well-placed poster to make a real difference. Jen draws on over 20-years of graphic design experience for her custom poster creations. She knows how to take a verbal idea and translate it into the visual form, and she knows how to do it well. Jen Clark Design loves working with small businesses because they bring energy to each project. We love hearing your passion, and that’s why we’ve worked so hard to create such an affordable poster design service with a fast turnaround. We know there’s no time to waste in the small business sector. Detailed Project Briefing: This is all about setting down a clear set of goals for the poster. Who do you want to reach? What do you want to say? Why do you want to say it? With clear intentions in place, the whole process runs smoothly. Presentation of Concepts: While we design the poster, it is yours. You own it, and we want you to have a say on the final product. Feedback and Revisions: Any concerns or revision you want made to the concept will be included before final production commences. Finalisation and Sign Off: The project is only finalised when you’re staring at a poster you love. That’s all we’re looking for, so we only sign off when we see that look of approval. Supply of Digital Assets and Ongoing Support: We can print your poster, but we also send you all the digital assets. The poster is now yours forever.